The Obama administration doesn’t love it. Senate Democrats aren’t wild about it, either. Even respected financial watchdogs like Paul Volcker oppose it. But a controversial proposal by Sen. Blanche Lincoln (D-Ark.) that would force investment banks to spin off their derivatives businesses appears to enjoy a quirky protected status until Tuesday — primary election day in Arkansas, when Democrats decide if Lincoln can go for a third term. Trying to shore up her left flank, Lincoln went further than the White House, the House and the Senate Banking Committee to crack down on derivatives, the complex financial instruments at the heart of the 2008 economic crisis. And Lincoln’s in no mood to compromise just days before her May 18 primary. So Democratic leaders have held back from going too far to force changes in her bill and risk embarrassing Lincoln ahead of the vote, according to multiple Senate aides and industry officials familiar with the negotiations. The upshot is that a major provision of the regulatory reform bill is in limbo, the consequence of a toxic election year for incumbents. Every legislative battle is suffused with electoral politics. 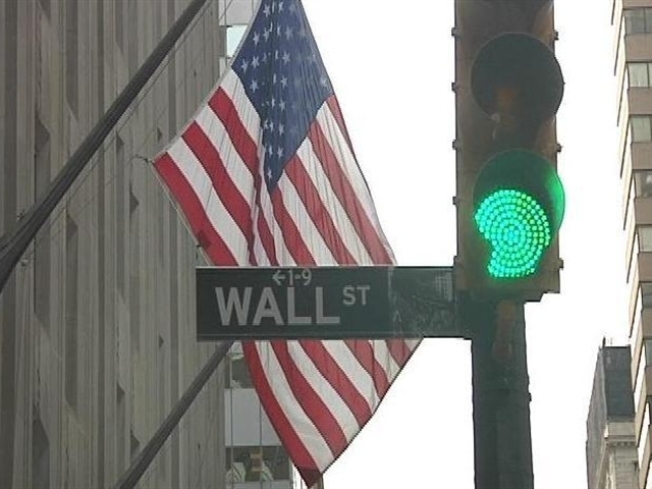 But with an unusually large number of incumbents fighting for reelection, the sweeping Wall Street reform bill has morphed into the vehicle of choice for senators to prop up their standing back home. Senate Majority Leader Harry Reid (D-Nev.) had wanted to finish the bill by the end of this week, but since it is taking longer than expected, the pressure to force a resolution on derivatives before Tuesday has diminished since earlier in the week, aides said. Senators are also attempting to clear away other key amendments first. But Senate aides and industry officials acknowledge the delay on derivatives stems, in part, from sensitivities to Lincoln’s tough reelection fight. It’s just one sign of the hyperkinetic political maneuvering surrounding the bill. Populist proposals that may never have received votes in the past, let alone pass, are dominating the floor debate. Playing to voter anger toward Big Business, senators want to break up big banks, create a powerful consumer protection agency and force credit card companies to slash their ATM fees and cap interest rates. Republican leaders sought to delay a vote last week on an amendment to open the Federal Reserve to greater scrutiny. The reason — cited by Democratic leaders — was that Republicans didn’t want Sen. Bob Bennett (R-Utah) to miss voting on an issue that has ignited the party’s conservative base and tea party activists. Bennett was in the midst of his ultimately unsuccessful attempt to secure the Republican nomination at a state convention driven by these conservative activists. The measure, which requires a one-time audit of the Federal Reserve’s lending programs, passed unanimously Tuesday — a stunning shift to the mainstream for an issue that had once galvanized only the extremes of each party. Sen. Michael Bennet (D-Colo.), who is also locked in a tough nomination fight, struck this week at an issue cited by analysts in the defeat of Utah’s Bennett: the maligned Troubled Asset Relief Program bailout. Bennet won passage of an amendment cutting the size of TARP from $700 billion to $550 billion and requiring that the money paid back by bailed-out firms go to deficit reduction, not new spending programs. Bennet wasn’t in office in the fall of 2008, when the bill passed. But TARP has left a trail of victims in its wake, starting with Sen. Arlen Specter (D-Pa.), who cited his support for the bill as a major reason why he couldn’t win reelection as a Republican. Attempts to create distance from the bailouts are now all the rage in Congress. The first amendment of the entire regulatory reform debate was a so-called message amendment offered by Sen. Barbara Boxer (D-Calif.), another 2010 target, reiterating that taxpayers would never again bail out a failing firm. Lincoln’s support of TARP has been a drag on her campaign as well. She has faced sharp criticism from her Democratic opponent, Lt. Gov. Bill Halter, for supporting TARP and was even tagged at one point as “Bailout Blanche.” When she proposed a more restrictive derivatives bill than anybody had expected, the move was widely viewed as a way to dilute attacks from the liberal base and unions, which had come out strongly for Halter. Some key players in the administration oppose Lincoln’s provision limiting the ability of banks to trade derivatives — and a series of well-timed letters raising concerns followed. Federal Insurance Deposit Corp. Chairwoman Sheila Bair said she was concerned the provision would push derivatives contracts out of the reach of regulators. Volcker, an Obama adviser and former chairman of the Federal Reserve, weighed in last week, saying the Lincoln provision went too far. The Treasury Department has avoided taking a specific stand on Lincoln’s bill but has made clear it’s worried about the unintended consequences of pushing derivatives further into the shadows. Lincoln told reporters this week that she has no plans to sacrifice her provision placing strict limits on the ability of banks to trade derivatives. Senators are discussing proposed changes to the section, but Democrats are unlikely to resolve their differences before next week — in part to wait out Tuesday’s election, according to aides and industry officials. It is still quite possible that, even after Tuesday, Democrats will decide to keep the Lincoln provision, aides said. In such a tough political environment, few lawmakers are eager to come down on the side of preserving this lucrative source of cash for investment banks.